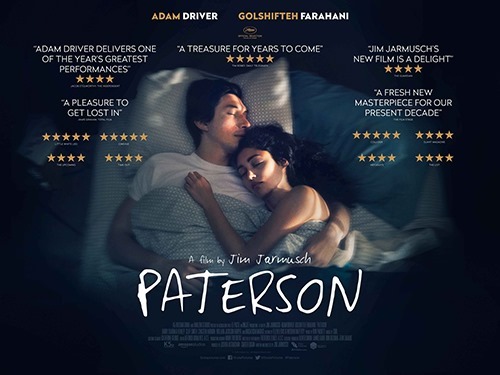 Earlier this month I saw Jim Jarmusch’s film, “Paterson.” This movie succeeds, in its modest and appropriate way, to do something impossible: to film poetry, or more exactly, the composition of literary work. It does this two ways: by having a writer, its central character, portrayed as a regimented, routinized person, grounded in a particularized working-class city and job; and then by having him compose “aloud in his head” his work against this background. This is a wonderful choice. The city, the routine clock of the days, the job, become the metrical, musical background for the flowerment of the writer’s consciousness that becomes the poems. Though the movie is set in the New Jersey city of it’s title, the filmmaker refers often to the “New York School” of poetry, using the poems of Ron Padgett to stand-in for the work of the film’s main character. The New York School uses a lot mid-20th Century Modern ideas, combining them into various combinations, depending on the individual writer associated with the movement. Some of it can be obscure and abstract, taking off from the same ideas that launched abstract expressionism in painting around the same time. But some also find a tenderness and wonder in the abstract patterns of urban existence, a Pop Art with a depth beneath its surface able to hold a beating heart. 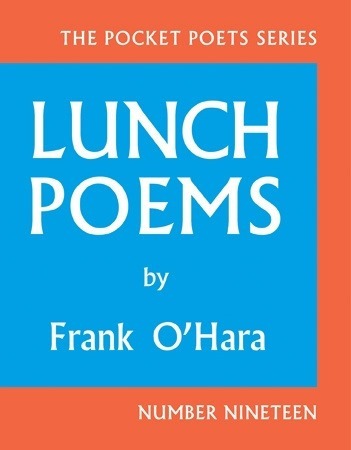 At a point in the film, the main character opens his noon lunchbox to eat, and to write down the intermediate state of his morning’s writing aloud in his head, and there like a Thermos, nestled above an orange and a sandwich, is Frank O’Hara’s “Lunch Poems.” It has to be there. O’Hara wrote in a great many styles, but this slim chapbook features several poems that someone once called his “I do this, I do that” poems. where O’Hara walks about, seemingly composing aloud in his head amidst daily tasks. These are my favorites, because, like “Paterson,” these poems seem to be about their own grounded creation in a city of routines, reflected inside the moist, encased, flowing mind of their writer. 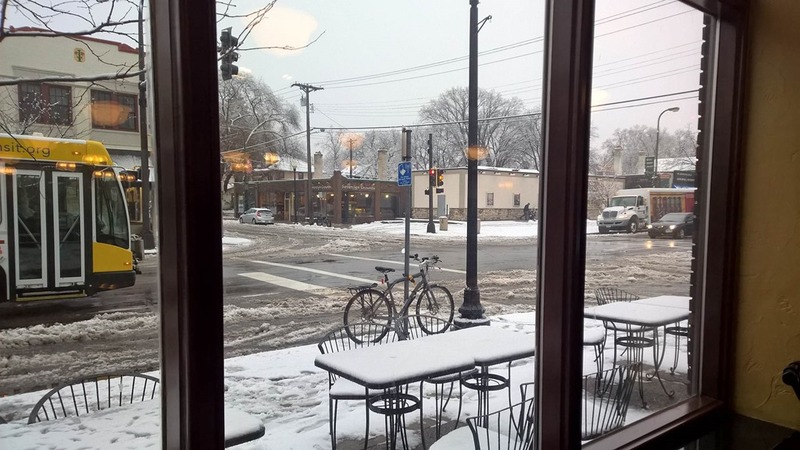 Today’s piece “2ebruary” takes off from that Frank O’Hara mode, as I often like to do, though I’m an old man, writing in another century, in the Midwest, not New York City, and my old joints creak best on a bicycle. “2ebruary” is a short bicycle journey thinking of history, and past the events that are turning into history that we can still change. I take a pause, as every American should, to note that American culture is made from those who came here carrying something from elsewhere. And Midwestern culture? For many, those packing trunks are hardly great-grandparent’s-age-old, at the eldest. At one point in the journey, I note those that had no trunks when they came to America, they had only their chattel bodies and souls—and even of those two things, the former had been appropriated by others for handy profit. What could they unpack? Well for one thing: the largest and grandest part of our American music. Our history is short compared to many nations, but it contains mighty things like this. We who are joining that history, already in progress, can turn it one way or another. Which way do you choose to turn? To hear the LYL Band perform “2ebruary” use the gadget below.